Brief Description: Fabric is a set of SDK’s to help and improve the mobile app development, from analytics to app monetization. You can use one or more of those SDKs, not required to use all of them. 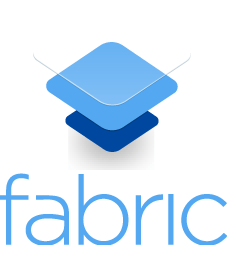 Good For: Fabric is good for beta program distribution, crash analytics, and UX analysis. Not As Good For: Fabric is not as good for the use of maps (Mapbox platform) or data storage (cloud). Brief Description: Cocoapods is a dependency manager for Swift and Objective-C Cocoa projects. Cocoapods has over ten thousand libraries and can help you scale your projects elegantly. Good For: Cocoapods is good for custom components/ libraries/ frameworks to improve speed cycle development. Not As Good For: Cocoapods is not as good for “specific (too) app requirements”. Brief Description: Sketch is a tool for graphic design that has a fully vector-based workflow. Sketch has a wide range of resource (i.e. plugins and artwork) options to speed the design phase on an app’s development cycle. Good For: Sketch is good for prototyping, mock-ups, and the creation and export of assets. Brief Description: Testflight allows the invitations of users to test Beta versions of your app before releasing it on the App Store. It can be used to distribute an app and track crash reports. Good For: Testflight is good for Beta testing a program and tracking crash reports. Not As Good For: Testflight is not as good for Android apps as it is iOS only. Brief Description: GreenhouseCI is an automated testing and continuous integration platform for iOS, Android, and Cordova applications. GreenhouseCI offers an easy connection to iTunes Connect, HockeyApp, and Crashlytics Beta. Not As Good For: GreenhouseCI is not as good for automated testing with very specific/ new frameworks, like Kiwi. Brief Description: Firebase is a platform for the development of an app’s backend, including data storage, user authentication, static hosting, and more. Firebase is the alternative after Parse shut down. Good For: Firebase is good for real-time databases and the integration of multiple auth providers (i.e. social networks and email). Brief Description: Android Studio is the official IDE for Android application development. Android Studio has improvements over other IDE’s -as Eclipse- with Gradle integration. Good For: Android Studio is good for mobile app development with tied Google services integration. Not As Good For: Android Studio is not good for iOS. Brief Description: Xamarin is a platform for native cross-platform development that uses one common programming language, C#. Xamarin has tools for the whole app development cycle including automated testing on multiple devices. Good For: Xamarin is good for cross-platform development without budget limitations. Not As Good For: Xamarin is not as good for specific platform features, limited budget companies/projects. Xamarin has a base price when you want to test how to develop (developer account). Is there a mobile app development tool that you think should be on the list? Is there a new mobile app development tool you think we should know about and try? Let us know in the comments. Did you check Google AMP ? it was released 2 months ago. Thank you for this impressive listing…!! As per my experience in app development agency in London, I must say above listed tools are very useful for mobile app development. X code is also nice tool to build slick ios apps.